Now that we’ve returned to normality after our time in Copenhagen, we thought we’d share some ideas we loved at MAD symposium. 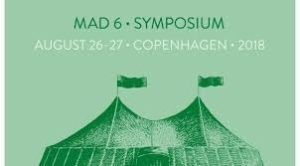 Mad is the Danish word for food, and this is a symposium which not only looks at food but focuses on the issues surrounding the food industry. The subject of the symposium changes from year to year, but it always takes an in depth look at current issues and how to improve the hospitality industry as a whole. This year’s subject of Mind The Gap examined the gaps in the industry such as the gender gap, equality gap and all of the issues that surround the inequality in our world. The MAD channel on YouTube is well worth checking out, and most of the discussions from this year’s symposium are available to watch there. We also noticed other aspects of the symposium that we’d like to introduce back home. We really have to hand it to the organisers, it was so well run, clean and had a low impact on the surrounding environment. Everyone received a reusable glass water bottle which they could refill from water points around the grounds over the 2 days. All the tableware and cutlery was made of edible material. The food programme was conducted by chefs across Copenhagen like Rosio Sanchez and was unbelievably good, it’s hard to imagine what cooking for 600 people is like but these guys did it so well and without any complications. The drinks programme included several amazing coffee roasters like April and Koppi, along with small producers of kombucha and cordials, there was also plenty of local craft beer to try. 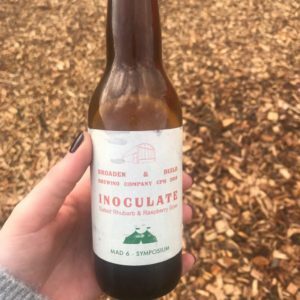 MAD teamed up with Copenhagen based brewing company Broaden & Build to release the first edition of their gose style beer which was flavoured with rhubarb and raspberry. There’s so much more to talk about from MAD, so keep an eye out over the coming weeks to see what we’ve learned and our big plans for the future in hospitality.